The girls volleyball varsity gold team of St. Francis de Sales Parish won the Division II championship in Region 30 of the Archdiocesan CYO volleyball tournament. 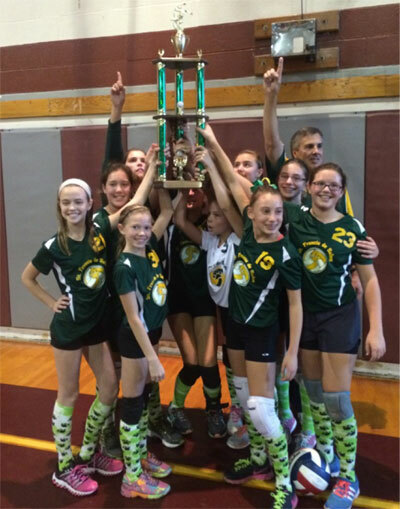 They defeated the CYO team of St. Joseph Parish, Aston, in three games on Oct. 26. The players, all seventh graders at St. Francis de Sales School, are Tabitha Ciocco, Corrine Farley, Julia Kasper, Jessica Kasper, Erin Kurcon, Katie Lee, Cailey McDermott, Grace Stefankiewicz and Kirsten Zoellner. Mike and Nikki Possiant coached the team.